One of the joys of being actively involved in championing country, roots, folk and Americana music is being exposed to a continual stream of high quality new Canadian material in search of UK promotion. Nationally acclaimed Ottawa based singer-songwriter Amanda Rheaume is one such artist who, after relative success in her homeland, is seeking further expansion into European markets. On the back of increased press for her most recent Juno nominated album KEEP A FIRE, and a formal UK release of the record, Amanda has undertaken an inaugural visit across the Atlantic to share her talents in a series of developmental shows. 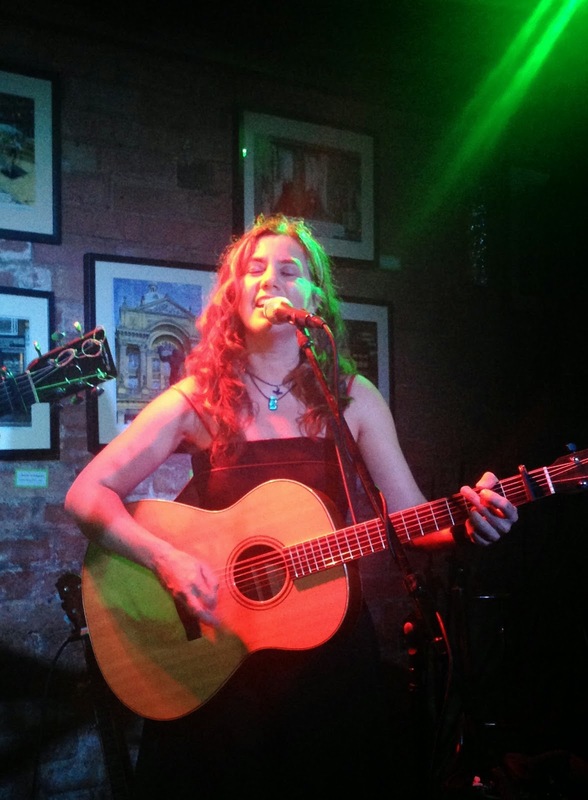 On the evidence of her assured performance at Nottingham’s intimate Guitar Bar venue, it shouldn’t be too long before the term ‘developmental’ is dropped and the wider music community takes note. Amanda appreciates the value of enhancing a live show and for this tour has enlisted the services of two fine Canadian musicians. 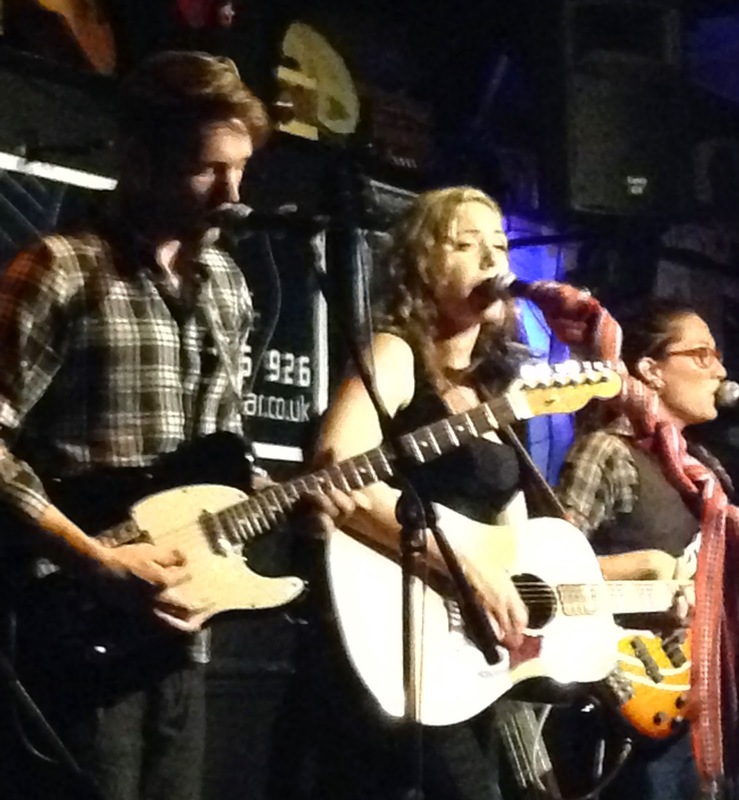 Fraser Holmes, a fellow Ottawa resident, played mandolin and electric guitar on Amanda’s recent record and switched effortlessly between the two sounds during the show which took the format of a pair of sets with the second being slightly longer. MJ Dandeneau from Winnipeg Manitoba has an incredible CV of playing bass with a who’s who of contemporary Canadian folk and roots artists with Amanda now joining many who have visited the UK. 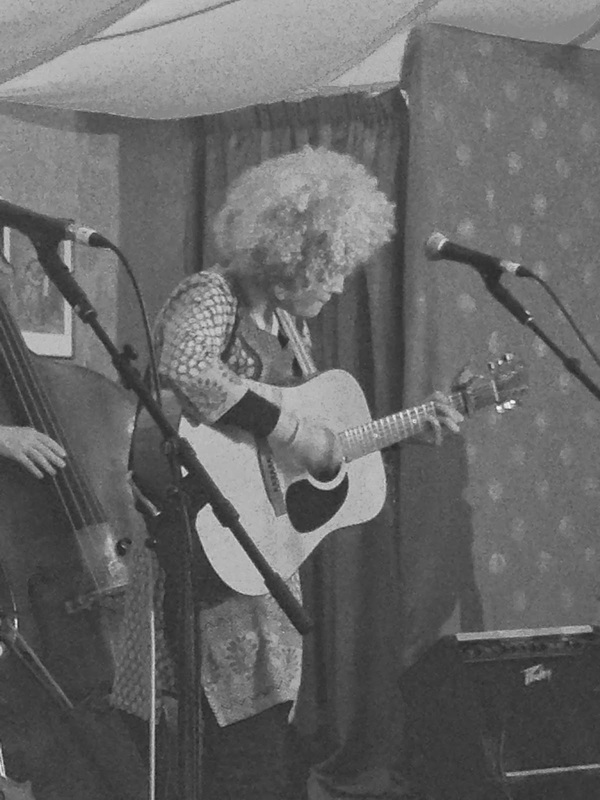 Intermittently, MJ played her electric bass guitar with a bow and together with Fraser provided the perfect setting for Amanda to showcase live her excellent array of songs. Both MJ and Amanda share Metis heritage, a mix between European and First Canadian Nation, and their intense pride became a theme of the show culminating in the song ‘Keep a Fire in the Rain’ with its traditional language segment. This was one of eight songs extracted from the latest record for the set with the superb tracks ‘Passed Down the Line’, ‘AGB Bannatyne’ and ‘Not This Time’, all having traditional or historical sources and getting the informative insight treatment from Amanda in her between song banter. 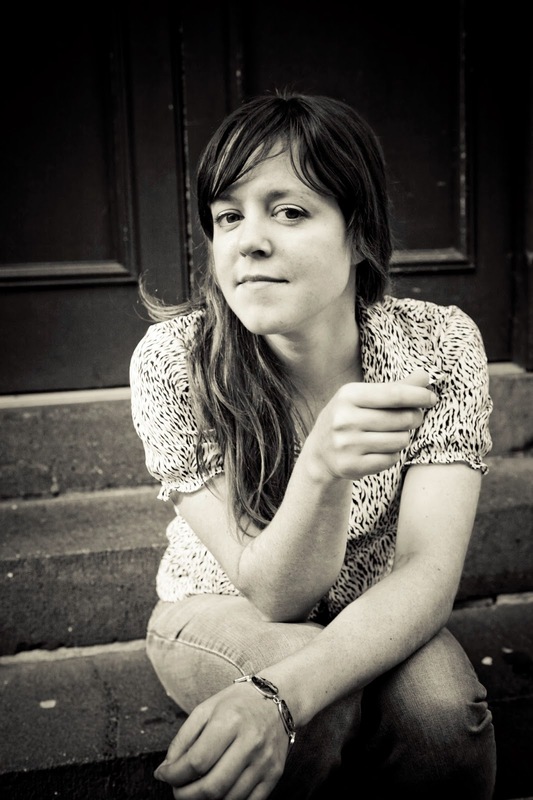 The appeal of these and so many other of Amanda’s songs is their ear pleasing aurora without selling out to popular whims and keeping within the tight defined structure of authentic roots music. Amanda did play it safe with her choice of three covers for the set which is understandable when taking new original music thousands of miles from home. Neil Young’s ‘Heart of Gold’, with Amanda on harmonica, and Old Crow Medicine Show’s, fast becoming a standard, ‘Wagon Wheel’, complete with invited audience choral accompaniment, are far from radical selections but offered a bout of familiarity. During the encore Amanda also played an interesting version of Bruce Cockburn’s ‘Lovers in a Dangerous Time’ with especially the guitar execution of Fraser giving the song a country rock feel. Apart from the airing of a new song ‘Steal it Back’ suggesting that the time for Amanda to move on from KEEP A FIRE is imminent, the remainder of the set saw her delve a little further into the back catalogue. There were four songs from 2011’s LIGHT OF ANOTHER DAY and the closing number ‘All That You Need’ stretched even deeper into the recording vaults. This finale was the sole song that Amanda played totally solo with Fraser and MJ stepping aside to allow her to emotionally deliver a song written about appreciating what you have and inspired by playing to Canadian military personnel in Afghanistan. It was the fitting end to an evening full of invention, finesse and truly enjoyable music. It has been stated here on many occasions that the influx of Canadian and American talent complements the home grown folk/roots/country/Americana scene well and serves only to raise standards. Amanda Rheaume is a valuable addition to the growing list of artists exporting their craft and it would be delightful if this liaison continued to grow and blossom in the future. One of the pleasures when exploring Americana music is the background, circumstances, belief and passion that surrounds many of the recordings. While essentially the 42 minutes playing time of ATLANTIC by Ben Glover is what fundamentally matters, this record is so much more enjoyable when savoured by understanding its spirit, drivers and desire to drill to the very core of its influences. First and foremost Ben is a proud Northern Irishman but his passion to explore the connectivity with the musical soul of his homeland and that of the US southern states has led to a collection of songs strong in sense of direction and fertile in the sound of its objectives. Ben has had some success in connecting with a wider UK audience via his association with Mary Gauthier and Gretchen Peters and unsurprisingly both have lent a hand in the compilation of this sincere and scintillating album. Mary and Ben co-wrote the record’s standout song ‘Oh Soul’ and this redemptive masterpiece intrinsically linking itself with the life and death of Robert Johnson shivers your senses for its near 5 minute duration. Ben’s recorded version joins Mary’s one from her excellent new album TROUBLE AND LOVE and it’s made perfect for a duet when the pair tour together this autumn. On the subject of duets, Gretchen went one step further with her co-write ‘Blackbird’ and the album is enriched by Ben and herself sharing vocals on this stunning and quintessential murder ballad. The press blurb for ATLANTIC was far from laden with superlatives, just explaining the context of the release and for once acted as the perfect accompaniment for listening to the album. 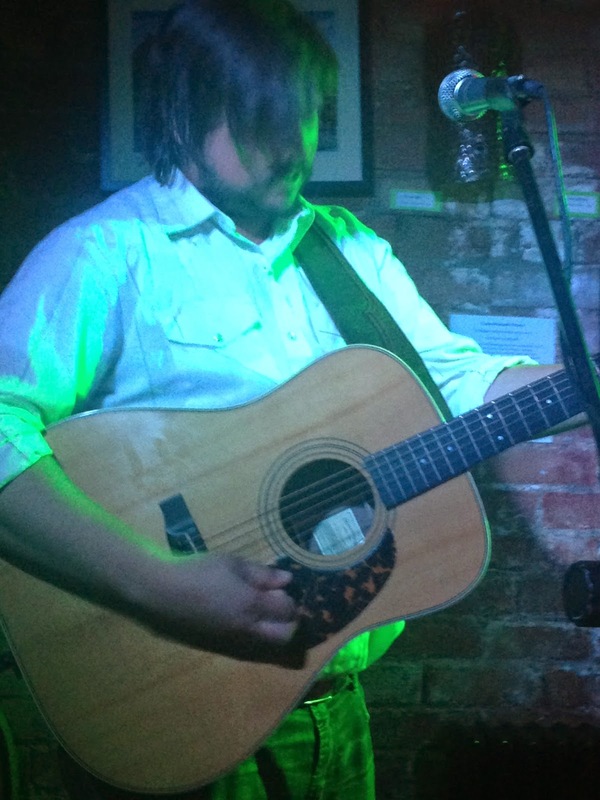 For the record, Ben has spent a number of years living in Nashville and in pursuit of his deeper understanding of roots music has travelled deep into the fields of inspiration. However the calling was to return home, assemble a bunch of likeminded musicians, strip away the layers of production and seek the reasons why the Atlantic divide might be lengthy in miles but much, much shorter in terms of musical heritage. Along with Mary and Gretchen, Ben has shared the writing duties with acclaimed American troubadour Rod Picott on album opener ‘This World is a Dangerous Place’ where deep ingrained vocals reflect the perils of life. Ben’s other writing collaborator is producer Neilson Hubbard who has been present on his three previous albums. The careful assortment of instrumentation represents the finest sounds you would expect on a roots driven Americana recording with perhaps only fiddle missing but the dual steel input of pedal and lap fuse perfectly between the ideal mix of electric and acoustic guitar. It would be remiss to not include a sad country song in this journey of discovery and ‘True Love’s Breaking My Heart’ fits the bill neatly and rather effectively with a waltz-like back beat. The big river was never going to be left out and Gretchen Peters once again lends her vocals this time to the graceful ballad ‘The Mississippi Turns Blue’. This track would not be out of place on Rosanne Cash’s epic album THE RIVER AND THE THREAD and that is no faint compliment. A gospel feel adorns the track ‘Take and Pay’, while homeland sentiments fuel the jaunty number ‘Sing a Song Boys’ and go a long way to linking the two lands inspiring the project. Either side of this spark of gaiety, Ben once again gets in deep sombre exploratory mood with the solemn ‘How Much Longer Can We Bend’ and the philosophical album closer ‘New Year’s Day’. The two remaining tracks are more upbeat with the soulful rocker ‘Too Long Gone’ sang with aggression while the excellently written reflective song ‘Prisoner’ begs for forgiveness and namechecks the legendary Highway 61. 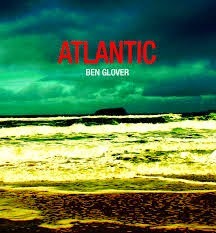 In writing, recording and releasing ATLANTIC, Ben Glover has made great inroads in realising his objective of delving into the spirit of the two lands close to his heart. Ultimately the pleasure is in the listening and all the better if you buy into the ideals. At her best Cara Luft can be a lively performer but the injection of an extra refreshing bout of exuberance made her return to the Kitchen Garden Café a truly memorable occasion. Her link up with fellow Winnipeg artist JD Edwards appeared to be the source for this rejuvenation, although Cara continues to cultivate her passion in cross Atlantic collaboration with the renewal of association with English folk singer Bella Hardy. The pair will be hitting a select few UK venues later in the year but for now it’s her work with JD taking centre stage. With a combination of old, new and a trio of JD Edwards songs to be aired, the format for the Café this evening reverted to a no support-twin set show and the well- attended venue, containing many familiar faces to Cara, was treated to an entertaining night of stories, songs, fine musicianship and a little impromptu humour. Right from the start, Cara couldn’t contain the delight of the link up and the pair is well down the route of recording a new album which should hit the UK market in 2015. On an evening which was based on heralding the new, Cara eased into the show with a series of her popular old songs and got everybody singing three numbers in with the lively ‘My Darling One’. The DARLINGFORD stories were toned down tonight although it’s impossible to introduce ‘Idaho’ without Cara mentioning the picture of GW Bush while favourites like ‘No Friend of Mine’ and ‘Only Love Can Save Me’ need little introduction. Other popular songs to feature were the traditional duo of ‘He Moved through the Fair’ and ‘Black Water Side’. At this point it’s worth mentioning the string expertise of Cara on both guitar and banjo with JD excelling on guitar, harmonica and backing vocals in primarily a support role on these older numbers. However it wasn’t too long until he took the spotlight with the rendition of three originals either side of the interval. While ‘Had I Paid’ and ‘Old Garage’ came across well, it was the background and delivery of the haunted tale ‘The Stranger’ which had had the most profound effect. Being informed that he fronts the JD Edwards Band back home in Winnipeg with a folk rock tinge to them was of little surprise after listening to the slightly worn vocals which coated each song with smothering of urban grit. The adaptive nature of his vocals was impressive as sufficient restraint was needed to work in the Café’s intimate surroundings. 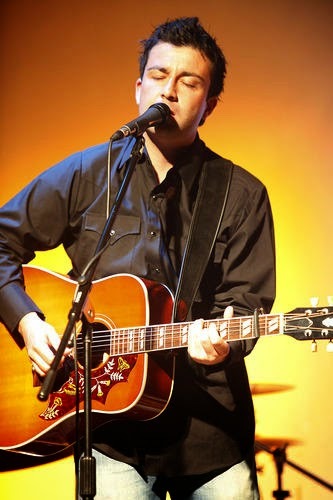 In what was rapidly developing into a duo show, the influence of JD breathed new life into the Wailin Jennys song ‘Something to Hold onto’ and he worked in a Woody Guthrie number late into the second set with a version of ‘Way Over Yonder’, one of the Guthrie tracks resurrected by Billy Bragg and Jeff Tweedy. Cara herself introduced an historical element into the show by explaining her passion for Sacred Harp (or Shape Note Singing), explaining it to an inquisitive audience and demonstrating it through merging a couple of songs – ‘Wondrous Love’ and ‘The Traveller’. 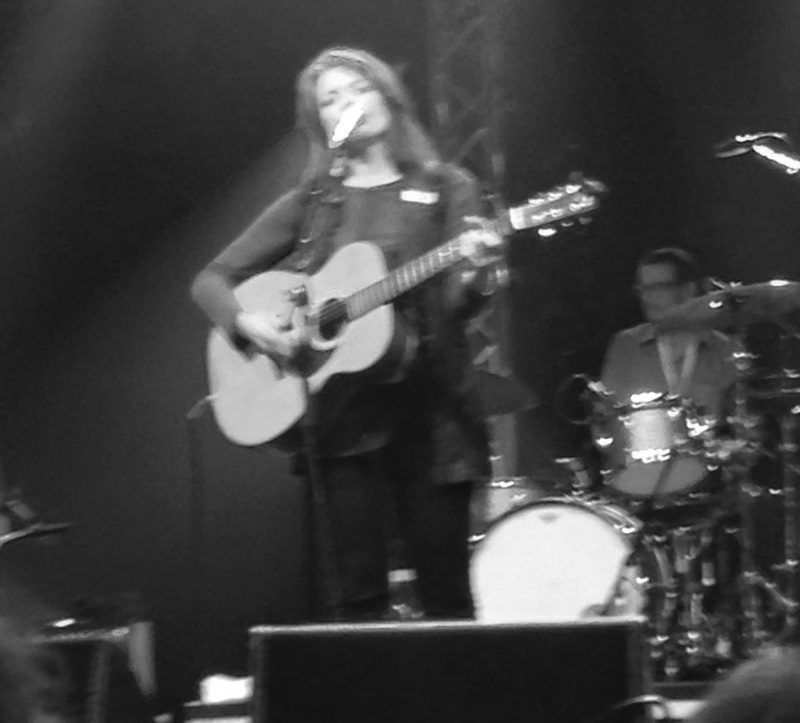 Three of the new songs introduced during the evening were ‘Fast Turning World’, the Bella Hardy co-write ‘Time Wanders On’ and the striking encore number ‘Home Song’. Cara was quite poignant in introducing this final song as it reflected her current habitual status of not quite having a base but blessed by the warm acquaintance that she has in many towns across the seas. With it now being a couple of years since Cara first toured with her latest record DARLINGFORD, it is an exciting prospect to know that she is likely to return next year with a shiny new release. Since her days with the Wailin Jennys, which is quite a while ago now, Cara Luft has had a lengthy love affair with UK audiences. This seems set to continue and is certainly reinvigorated with the tie up with JD Edwards. The Kitchen Garden Café heralded an old friend and made a new one in the same evening. She may be a proud Australian but Emily Barker is now firmly established as one of the UK’s leading ambassadors of alt-folk, Americana and roots music. This ridiculously talented young lady has successfully turned her hand to a number of different projects and styles over the last few years with this new Vena Portae venture matching up favourably alongside her best. Emily would be the first to acknowledge the importance of the collaboration which has evolved into a recently released debut album and this hastily arranged short UK tour. A packed Kitchen Garden Café appeared to be at its most appreciative in turnout, attentiveness and after show mingling as this Anglo Swedish quartet served a near complete menu of the new record with a couple of extras thrown in. Although Vena Portae officially market themselves as a trio comprising of Emily (vocals, guitars, banjo, harmonica), Dom Coyote (guitars, vocals) and Ruben Engzell (bass), the Swedish contingent has been doubled for these live dates with Jesper Jonsson adding the percussion spice. Despite self-admitted limited practise, the band had few problems transferring the excellent songs from studio to stage, or more precisely a cramped corner of the Café where the electric sockets are. These surroundings have brought the best out of many an artist and tonight was no different as friendly banter, informative inter-song chat and mighty fine musicianship brought the record, especially its Swedish origins, to life. With a likelihood of the main act playing just over an hour, the promoters went to local artist Michael King of Boat to Row to open the evening and he duly entertained the audience while his own band were just around the corner recording some new songs. When Michael supported Blair Dunlop at the neighbouring Hare and Hounds venue in May, it was felt that the sound system didn’t do justice to his slightly lo-fi vocals but there was no such issue in the Café. In a somewhat surprising twist, Vena Portae added a couple of new songs to their set suggesting that there is more to come from a group of artists so involved in other activities. To most of the audience, all the songs were new but to someone who has played the album countless times since its press issue, the unrecorded tunes were a significant style switch with ‘What We Do Matters’ adopting a more rockier feel and ‘No Enemies’ an acoustic duet featuring Emily and Dom. The other non-album song to feature acquired encore status and also added a further Swedish ingredient with ‘Young Folks’ being originally recorded by Peter Bjorn and John. The link between this and the new record is that Peter Moren was responsible for the remix of the lead single ‘Summer Kills’, one of the many songs contributing to the success of the evening. Apart from the prominent and aforementioned flagship track, the two standout songs were the fabulous ‘Flames and Fury’ and the Christian Kjellvander (more Swedish connections) penned ‘Transatlantic’. Both songs were introduced with background stories and we were duly informed about the effect of Emily’s bourbon intake on the spirited first track and the location of the writing for Christian’s song, the only album track not to feature the writing input of Emily, Reuben or Dom. The other tracks to infiltrate the set from the record were ‘Foal’, ‘Turning Key’, ‘Stingrays’, ‘All Will Be Well’, ‘The Mapless Sea’ and show opener ‘Before The Winter Came’. All were expertly executed with Ruben and Jesper holding them together on rhythm allowing Emily and Dom to share vocals, switch guitars and decorate some tracks with the classical Americana combo of banjo and harmonica. Further insight reveals that Vena Portae have been bubbling under the surface for a number of years and it’s to the joy of the enlightened music public that a release and tour has emerged. With her prominence elsewhere, Emily is going to attract the attention but essentially Vena Portae is a carefully crafted ensemble of fine musicians and few in the Kitchen Garden Café would argue as to the quality of their show. One route to a successful album is to lure the listener in before locking them into the groove of the record. With delicate astuteness and refined skill, Catherine MacLellan has accomplished this on THE RAVEN’S SUN, the fifth album from this award winning East Coast Canadian songstress. Teaming up wonderfully with long term musical partner Chris Gauthier, the pair has explored the self-released path to put together a record which succeeds in balancing the art of acoustic and electric alongside a bunch of songs etched with a faint distant familiarity. 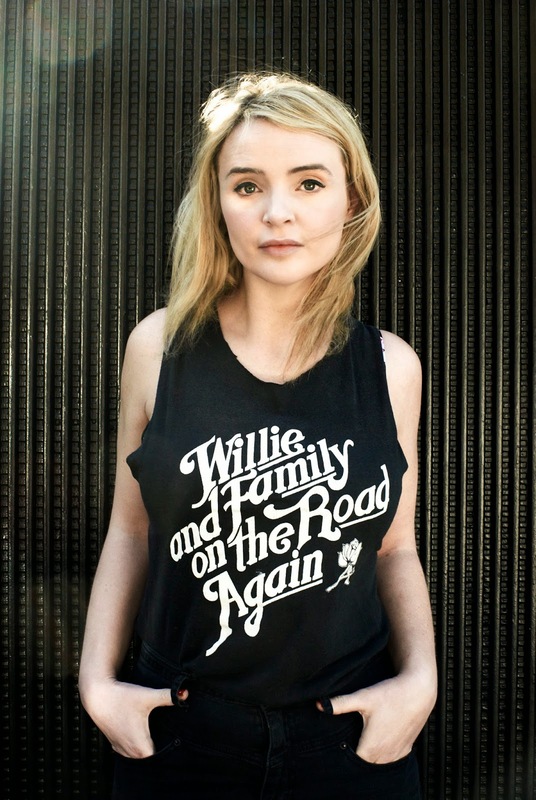 No doubt exploiting the gifts bestowed by her father, the legendary Canadian singer songwriter Gene MacLellan, Prince Edward Island native Catherine continues to melt into the roots sound so entrenched in her home surroundings. The new record resonates with this influence and many listens reveal an album of two parts, equal in merit but sufficiently different in their feel and mode of effectiveness. The first half a dozen tracks each have an alluring element either through their instant effect, melody or song construction to tempt you into the record. The stand out number from this segment is the utterly charming ‘Tell Me Luella’ which will have roots fans drooling over a song straight out of the Gillian Welch School of music making. This is closely followed by the enigmatic ‘Don’t Call Me Stranger’ where a darker sounding number packed with indie vibes steers the album in a more contemporary direction with a memorable chorus line and electric guitar pieces. Album opener and title track ‘The Raven’s Sun’ reveals Catherine’s elegant vocals right from the first bar to launch a record which demands your attention. 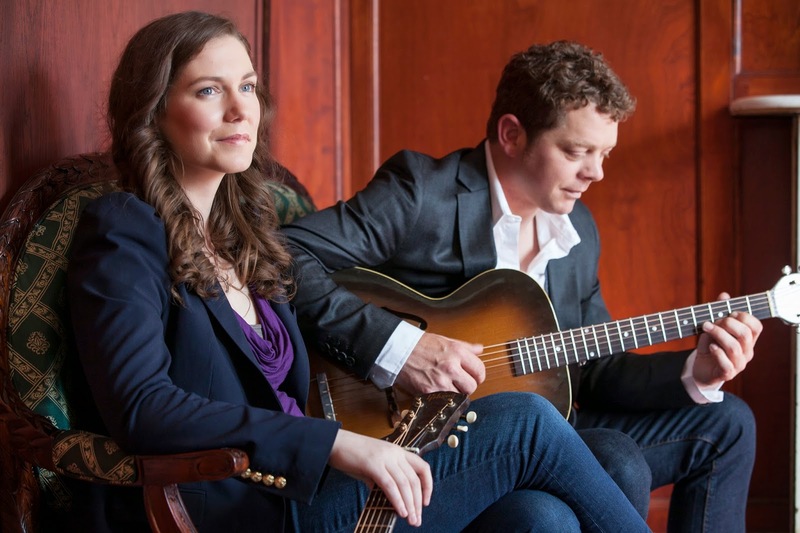 Catherine and Chris have enlisted the services of Nashville session musician Andy Leftwich (Ricky Skaggs and Kentucky Thunder) to play fiddle on a pair of mid album roots oriented tracks in ‘Jack’s Song’ and ‘Beneath the Lindens’. The other captivating track on the album’s first half is the enchanting ‘Gone Too Soon’, another song sung beautifully in a timeless manner with Chris’s mandolin providing the backdrop. Having been seduced by the fabulous first few tracks, the albums settles into a groove where mood prevails over instant appeal and you are led into a world of tranquil serenity. Once again graceful vocals and subtle guitar work are the keys that lock you in and the sound is best epitomised in the pair of tracks, ‘Hold On’ and ‘Frost in the Hollows’. Read downbeat as sensitive for ‘Rushing Winding Wind’ and ‘Left on My Own’ while optimism reigns supreme on the closing track ‘Winter Spring’. Despite not possessing the highs of the first half, the latter part drifts only in soothing your senses and makes the album a neatly packaged complete offering. 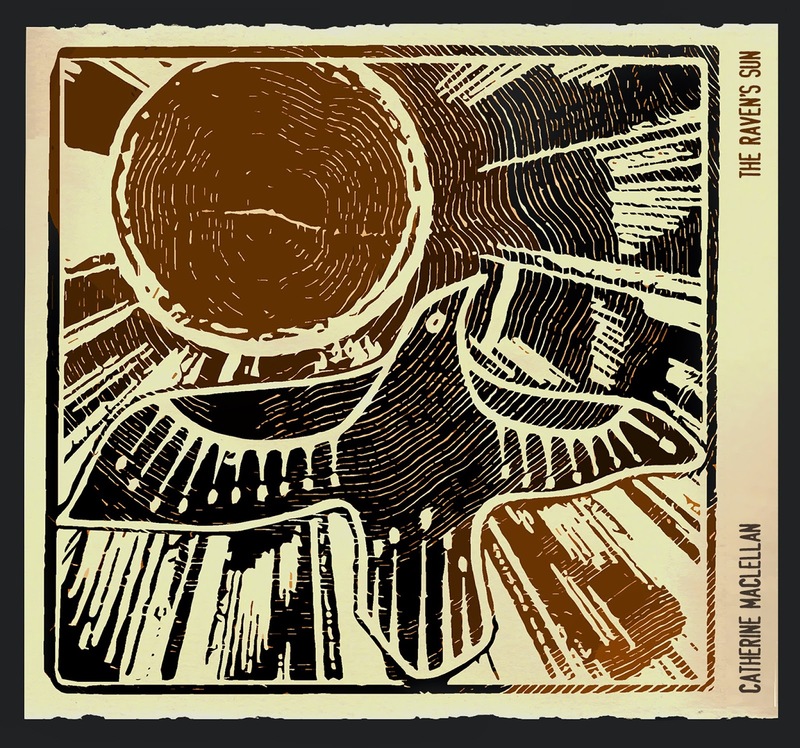 It will only take a couple of listens to be enamoured with the sound of Catherine MacLellan and THE RAVEN’S SUN is a release that will fully deserve all the plaudits received. 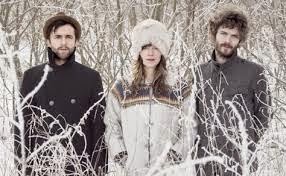 This is a composed and assured record and confirms once again what a talented crop of Canadian folk and roots artists are being promoted in the UK at the moment. This is not to the detriment of the home grown scene but provides a perfect complement. 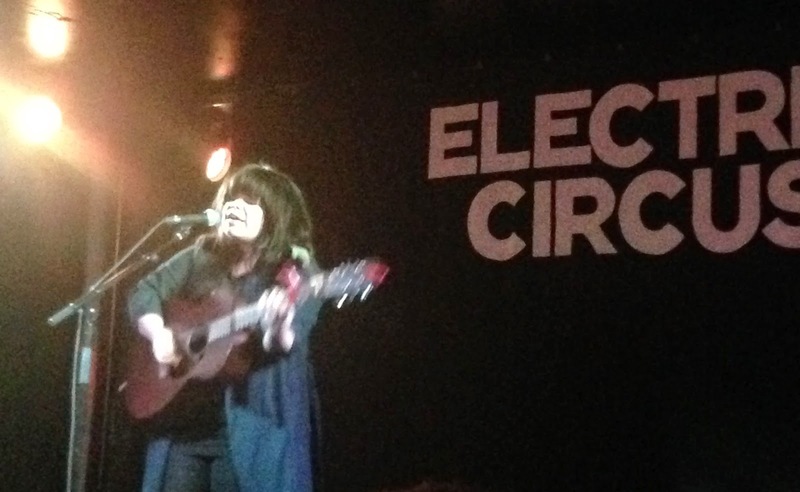 The Fringe may have been in full swing but the opportunity to take in this Samantha Crain show amongst the comedy, theatre and dance was far too good to miss. The annual trip to the greatest arts festival on earth occasionally throws up the odd show reflecting Americana heritage but, while Samantha’s gig at the Electric Circus was outside the formal promotion of the Fringe, her performance was a worthy addition to the overspill of talent thronging every corner of Edinburgh’s contemporary and historic crevices. 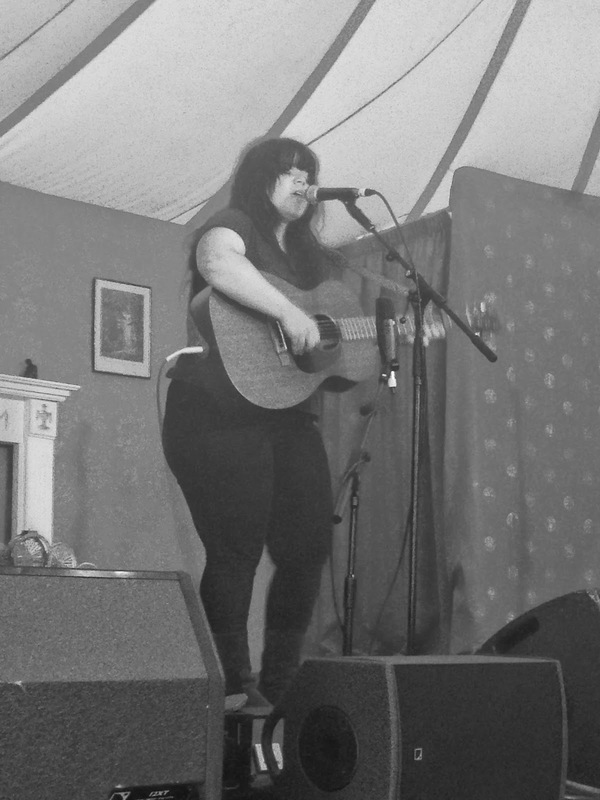 Although on my horizon for a while, the music of Samantha Crain truly entered the domain of this reviewer with a set at this year’s Cambridge Folk Festival and it leapt up several more notches after this extended solo show. The easiest way to describe the music of Samantha is to mix the styles of Mary Gauthier and Lucinda Williams into a melting pot, add the zest of youth and fine tune the product with a dose of prime Oklahoma song writing talent. 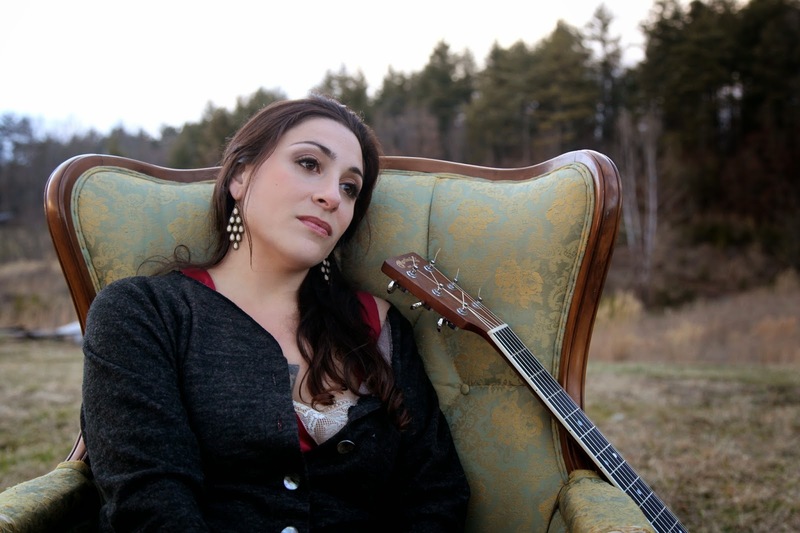 Quite simply Samantha strains every sinew of soul in the self-penned songs which reflect well her perceptive lyrical output and all projected majestically with cultivated pickin’ skills. The experience gained from a series of album releases and no doubt countless shows has helped develop the story telling skills of 28 year old Samantha and this evening we were treated to a host of background tales bringing the songs to life. Whether paying tribute to the late Jason Molina with ‘For the Miner’, playfully conspiring a little Taylor Swift irony on ‘Never Going Back’ or playing syllable games with rival cities in titling ‘Devils in Boston’, the majority of tracks forming this hour long set were decorated with enticing insights. 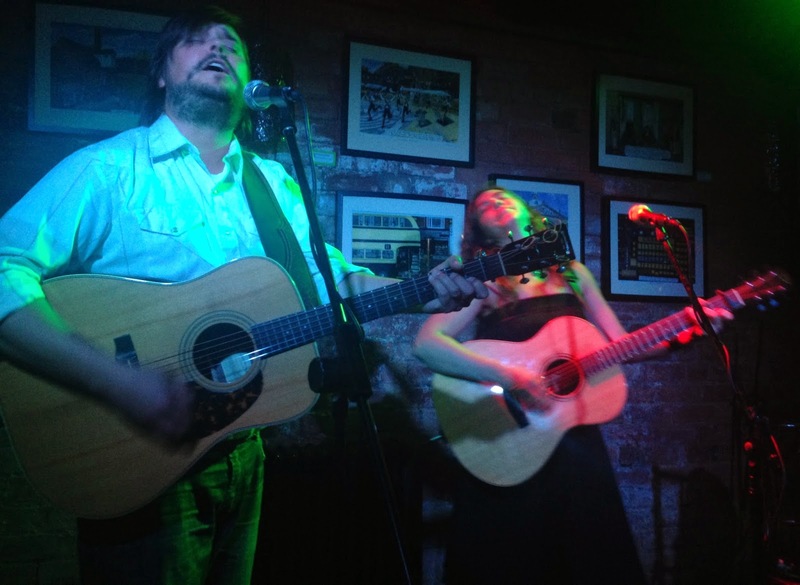 Prior to Samantha taking the spotlight, Edinburgh based acoustic folk roots duo The Jellyman’s Daughter showed that this exciting and enthralling brand of music is in good health north of the border. Emily Kelly (vocals and guitar) and Graham Coe (Cello and vocals) were the individuals on stage but the sound was heavily weighted in gentle unison. 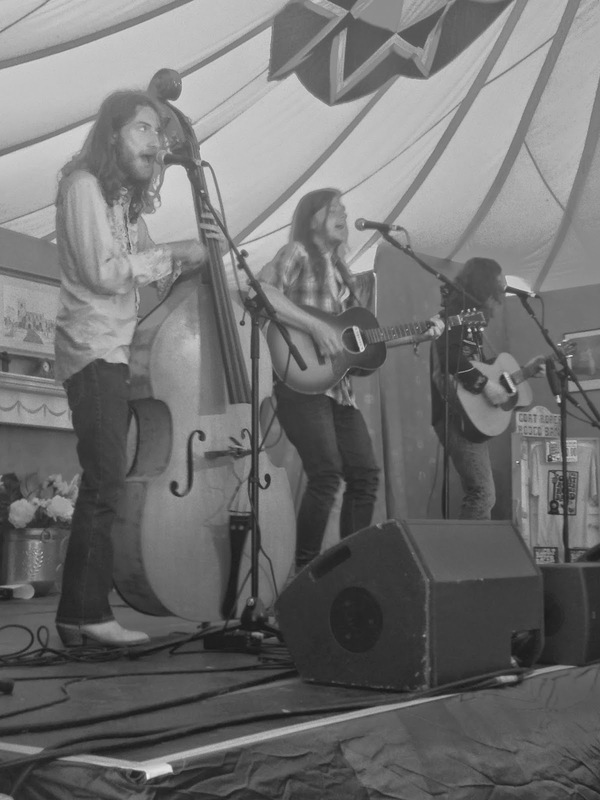 Three songs from their opening slot possessed an eyebrow-raising appeal notably the excellent ‘Anna’, a song reflecting their Appalachian influences ‘Carolina’ and a unique bluegrass makeover of The Beatles standard ‘Can’t Buy Me Love’. An upcoming album release from the duo is certainly something to look forward to. Samantha later humorously commented that ‘she should vet her support artists more thoroughly in future as they were in danger of being too good’. The irony in this statement is that Samantha herself hits the road later in the year as the opening artist for the US shows of Swedish alt-folk trailblazers First Aid Kit. Inevitably she will probably continue to focus on songs from her latest album KID FACE such as numbers featured this evening including ‘Churchill’ and ‘Somewhere All the Time’. However there is surely a place for the standout song from Samantha’s time on stage and the brief outbreak of kindly requested audience participation on ‘Songs in the Night’. The joy of seeing Samantha Crain live primarily lies in the depth of her warm expressive vocals which act as an evocative median in conveying her thoughts. The guitar gremlins which hindered her Cambridge set did not surface at this evening’s Edinburgh gig, although it was noted at the time in how well she dealt with the amplification issues. This is probably what you would expect from an artist so adept at excelling in the art of song, and performing right in the heart of the final week of the annual Edinburgh Fringe Festival was a fitting platform for someone treading the golden path of Oklahoma song writing. Imagine the scene; with shimmering percussion in the background, bar room shenanigans in the foreground, the stench of illicit alcohol filtering through the juke joint and the band just played on. That band could well have been Blue Moon Marquee in time travelling mode so authentic have this duo, labelling themselves ‘Canadian Gypsy Blues’, proved to be in their second release LONEOME GHOSTS. Harking back to a bygone age, this record, the musical fruits of A.W. Cardinal and Jasmine Collette, is unashamedly retro and sets out the stall that regressive music can be cool in 2014. Weighing in at a meagre 28 minutes, the solution for the shortness is to hit the repeat button and play the 9 tracks again as the record is as much about the ambience created than crying out for critical song dissection. The ambient environment can be that idyllic bar listening to the duo on their many live dates, though the alcohol is legal and a lot more expensive than the in the aura created, or for those solitary moments when all you need is something medicinal and a set of headphones. A serious grounding in the jazz and blues venues of New York City and Montreal fuelled the creative desire for A.W. who fulfilled his passion by venturing out west to the wild pastures of Alberta to settle for a sound that has subsequently criss-crossed the Canadian land under the touring guise of Blue Moon Marquee. With song titles like ‘Scotch Whiskey’ and ‘Gypsy’s Life’, you get a feel for the content of the sound which with a little bit of critical content probably peaks in the first couple of tracks. Album opener ‘What I Wouldn’t Do’ dares you to shuffle your feet a little and a cover by old time American singer-songwriter/pianist Moon Mullican, ‘Pipeliner Blues’, displays the band’s canny knack of tapping into a style from an artist whose early active days can be traced back to 1926. Bringing us back to the modern day and this album was recorded in Vancouver with Jasmine providing the vocals, bass and drums and A.W. 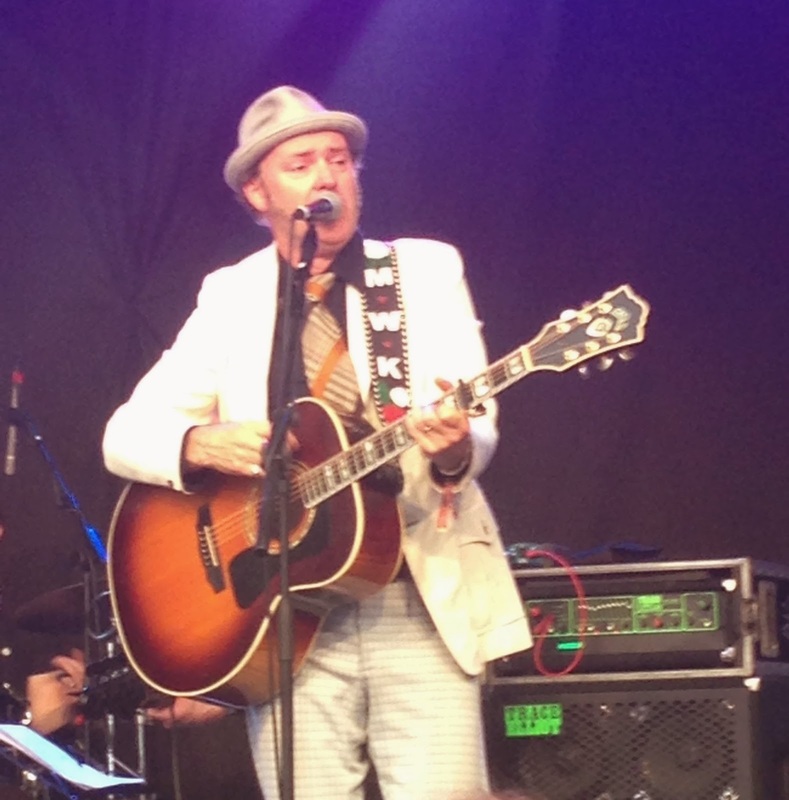 adding guitars and harmonica to his prime singing and writing roles, along with selected other players. 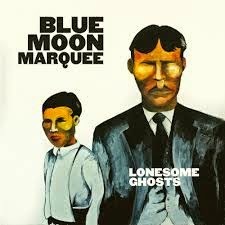 As indicated previously, Blue Moon Marquee are extremely active in their native Canada and with a little push from their PR may well want to consider the emerging markets for this bout of nostalgia in the UK and Europe. The irony to this review is that the whole old time feel is being underpinned by the global connective world delivering the music to far flung places. So if you’re up for a touch of untainted pure retro then LONESOME GHOSTS by Blue Moon Marquee is an available option and with you at the click of a button (and insertion of a credit card number). However a warning, the worn vocals and crackling sound has more miles on them than a clapped out Ford, and not for discerning progressive ears, but retains a reassuring spirit of authenticity and is drenched in the art of preserving a snapshot of the past. For a site known to occasionally champion female artists from the country, roots and Americana genre with probably a slight bias to performers pitching their wares from across the Atlantic, perhaps the time is right to focus on some home grown talent at the heart of the folk movement. While the leading lights get extensive column inches elsewhere, it is with great pleasure to present a collection of songwriters pursuing the endeavour of catching the glare of the radar. 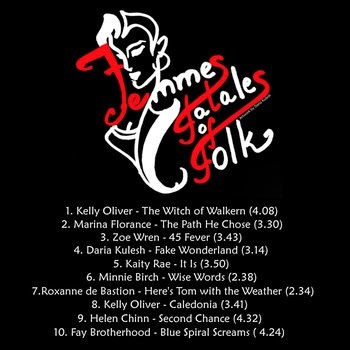 FEMMES FATALES OF FOLK contains ten tracks from nine artists and manages to capture a wide reaching flavour of what this cohort of talented ladies are capable of. Under the guidance of the developing Folkstock Records team, each track makes its mark whether original or not and leaves a lasting impression with a desire to check out the artist. As you would expect in a diverse offering, different styles are accommodated to suit whether your desires are for a soothing, edgy, wispy, haunting, classical or impassioned sound. In some tracks the voice surpasses the song and vice a versa in others but whatever the merit, each artist deserves the spotlight they are getting through this release. The gateway to coming across this album was catching and commenting upon Kelly Oliver’s set at Cambridge Folk Festival earlier this month. Her beautiful vocals resonated with high value and the Hertfordshire based songstress is the artist granted two tracks on this album. There is a slight contrast in her traditional style delivery of the original folk tale ‘The Witch of Walkern’ and her stunning cover of the Dougie MacLean standard ‘Caledonia’. It is ironic that this song has now been reviewed twice in the last month with the Ward Thomas version matching up well against Kelly’s charming effort. While Kelly acted as the conductive artist in discovering this collection, the find could quite easily be the passionate protest message evoking tones of Marina Florance. With all the traits of those who have successfully ploughed this furrow in the past, ‘The Path He Chose’ is a stark reminder that a century on from the outbreak of the Great War, there are still not so great consequences from conflict. FEMMES FATALES OF FOLK has introduced me to the music of a name familiar on social media but undiscovered to date. 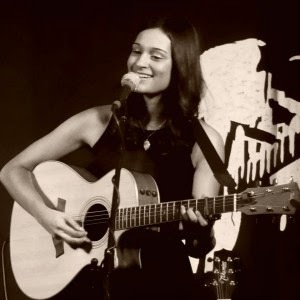 ‘Wise Words’ is a beautifully sung soothing song from Minnie Birch with a gentle acoustic background supporting a near pristine attempt to deliver a composition strong on melody and graceful upon reception. ’45 Fever’ by Zoe Wren is a more upbeat effort but another succeeding in hooking in your aural senses. Having listened to a fair amount of Canadian folk music recently this style has been successfully interpreted across the Atlantic divide in equal quality measure. The haunting vibes of the cello-supported ‘Here’s Tom With The Weather’ sees Roxanne de Bastion add a slight edge to her crystal vocals, while Kaity Rae has a more down to earth voice which replaces range with a warm connective feel on the aching ‘It Is’. There are hints of piercing aggression to the sound of Fay Brotherhood’s ‘Blue Spiral Dreams’ which springs from the record with an alluring effect and is in contrast to the more level sided offering from Helen Chinn with ‘Second Chance’ being an apt title to a song perhaps needing multiple listens. The final track sees her Russian roots influential in Daria Kulesh delivering the song ‘Fake Wonderland’ within a classical framework no doubt to the appreciation of traditionalists. Apart from showcasing some excellent talent, the entity of FEMME FATALES OF FOLK is the redeeming feature and presenting opportunity in a format that has the potential to engage across the roots spectrum. Try before you buy will whet your appetite but cherry pick only when further pursuing artists after adding the whole of FEMMES FATALES OF FOLK to your collection. For me the live and recorded version of a song has always been a separate entity. This has been re-enforced since the explosion of the video sharing age but every now and again the lines blur to showcase a quality transition from stage to disc. While you can never truly re-create the experience of standing in a cramped venue, sipping weak beer and immersing yourself totally into the sounds of the moment, a couple of album releases this year have crossed the floor with prestigious effect. Following on from Birds of Chicago’s fabulous LIVE FROM SPACE earlier this year, LIVE CHAMPS has achieved a similar job and done the next best thing to hosting Danny and the Champions of the World in a house concert. Of course a live album should never replace that experience of getting off the sofa and supporting live music so this album from my perspective should be used to (excuse the pun) champion the live UK dates for Danny this autumn. March 6 2014 was a special date in the calendar of Danny George Wilson and by the sound of this double album those present in Camden’s Jazz Café were very privileged punters on the evening. Spread across two CDs and spanning 96 minutes, it is assumed that the entire gig was captured for posterity as Danny took the audience, and now those owners of a shiny new CD (or download if compact and convenience is your motive), on a Champions of the World 6 year journey. The critics (including yours truly) drooled over last year’s STAY TRUE and Danny’s evolution into country soul is featured here with the album contributing seven of the thirteen tracks to the evening’s entertainment. ‘(Never Stop Building) That Old Space Rocket’ has rarely sounded better and retains its usual show opening slot. ‘Cold, Cold World’ and ‘Darlin' Won’t You Come in From the Cold’ imprint the style deeper while the expanded version of ‘Stop Thief!’ has some great extended sing along parts. Obviously being a live album, the band had licence to expand and interpret the songs in whichever way they saw fit with many of them taking on a greater length to cater for the magnitude of instrumental solos which are essential to savour the true feel of a Champs gig. Thirteen songs in an hour and half show is quite a low return in comparison to many live gigs experienced but the sheer passion Danny and the guys impart into each number renders the quantity meaningless. Danny never misses an opportunity to let loose the sax and keyboard talents of Free Jazz Geoff or the lead guitar solos from Paul Lush or some luscious pedal steel from Henry Senior Jr. He also values strongly the contributions of bassist Chris Clark and Steve Brookes on drums. For this gig, ex champs Hannah Lou and Trevor Moss join in the party as ‘Restless Feet’ brings the pre-encore segment of the album to a close. For people new to Danny and the Champions of the World, LIVE CHAMPS does have a feel of a greatest hits compilation, though sadly or thankfully from the other viewpoint without the commercial trappings. Sparkling tracks such as the absorbing ‘Colonel and the King’ and the emotional irony of ‘Henry the Van’ highlight the more folk rock past of Danny but the guy is such a talented artist and soulful vocalist that he can excel in any format of roots music. Perhaps a stab at saving country music in the UK could be a possibility in the future. As per usual this record is put out by the good folks at Loose Music and as was indicated earlier in the review, it is surely is an appetizer for taking in a Champs show later in the year. The live music fraternity of Birmingham have the luxury of a Saturday gig in a city centre venue in October and there is little excuse for not packing the place this time. 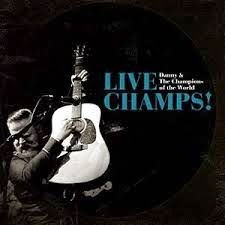 Whether on a studio release, this LIVE CHAMPS album or in person, Danny and the Champions of the World are an essential band core to the alt country, Americana and roots music scene in this country and should be checked out. With a sound rich in the subtleties of folk and soaked in the spirit of Americana, Jane Kramer has announced her arrival as a recording artist in her own name in an impassioned and sumptuous style. Not one to dwell too long on the solo status, Jane has assembled a lengthy list of players and a similarly numerous array of instruments to produce a sound born out of Appalachia and honed in the creative melting pot of Portland Oregon. BREAK & BLOOM is a deep rooted album reflecting the land, transient nature and inspiration that has guided Jane from band member of The Barrel House Mamas to a solo artist equipped to take on those female performers spearheading the folk-Americana movement in the US, Canada and countries further afield. Jane drew a load of inspiration from working alongside fellow North Carolina picker Malcolm Holcombe and she has developed the confidence to commit to record ten self-composed tracks and play a major role in the production duties. The real strength of the record is the ability to wrap flawless vocals around reams of rural Americana grit and harness the full range of roots instrumentation. The album opener ‘Georgia’ has a haunting start before picking up the tempo and recalling a longing for the South with references to Asheville, the state in the title and the road that penetrates the area I-95. A piano ballad follows in ‘The Devil Don’t Want’ before Jane unveils the stand out track and a sad break up song titled ‘Nobody’s Woman Tonight’. This track with strains of Appalachia revolves around the fiddle and harmonica and references Patsy Cline in a successful attempt to convey the pain of loss. The roots sound further evolves when the banjo is introduced to a pair of tracks, ‘Hold Me Whiskey’ and the emotional and personal theme to ‘Mourning Dove’. The rural reflection continues in ‘That Muddy Water’ where more electric has been added alongside the beautiful soulful tones of the organ. By now you can start to picture the concoction of sounds that pull together wonderfully around the sincere songs with a horn segment added to the laid back ‘Red Balloon’ and one that complements neatly with piano on the groove laden ‘Plant Me a Willow Tree’. The only non-Jane Kramer composed track included is the gospel number ‘How Far Am I From Canaan’ where inspirational organ contributes to an uplifting number which raises the spirituality stakes of the album. ‘Any Way You Like, Child’ is Jane’s take on gypsy jazz and the accordion is used effectively to create an infectious beat and rhythm. The remaining track is the acoustically strummed classical folk song ‘One Precious Life’ where Jane’s vocals reach their peak and she uses the optimism and familiarity of Asheville, Virginia and Georgia to lead her out of some of her darker moments. 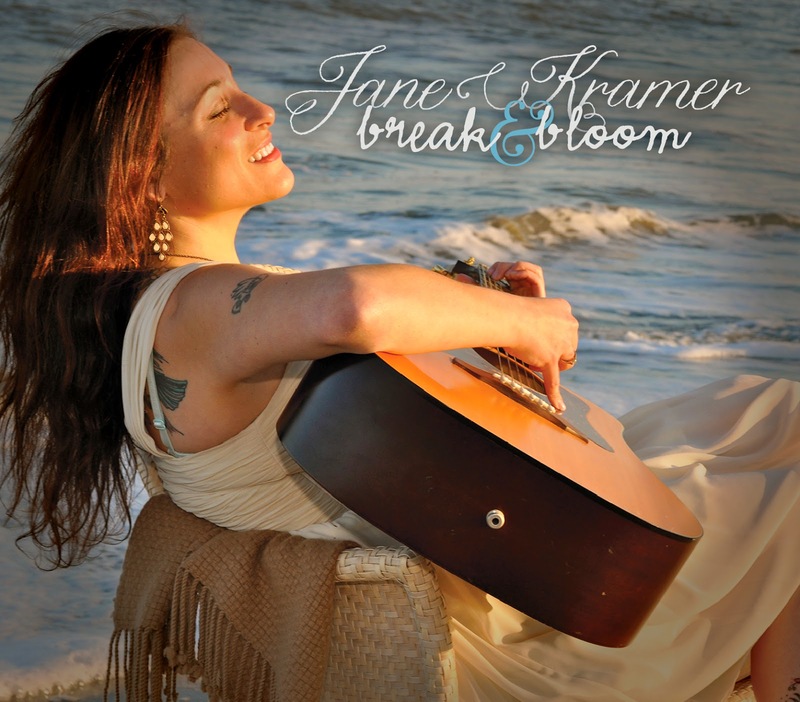 BREAK & BLOOM gets its formal UK release on September 8 and has the strength to enable the name of Jane Kramer to make inroads into the minds of UK Americana fans. Of course as per usual any UK press would be massively supported by a visit to our shores and the prospect of listening to Jane live is an enticing one. The market may be a little crowded but there is enough merit in the music of Jane Kramer for her to create a niche. One of the most satisfying aspects of music listening is when the harmony is done well especially where the rich blend of voices is soothed by soft string arrangements. 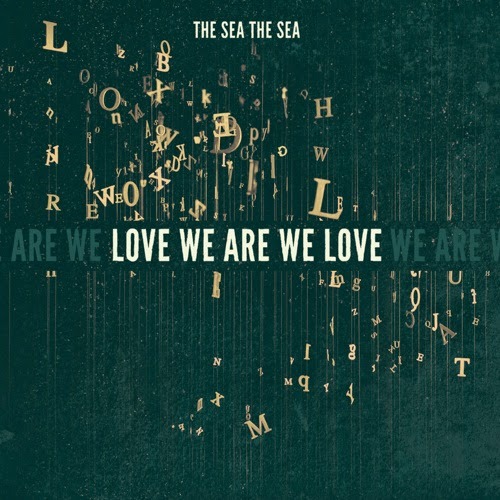 That is exactly what US folk roots duo The Sea The Sea has succeeded in capturing on their debut album LOVE WE ARE WE LOVE. The singer-songwriter duo of Chuck E. Costa and Mira Stanley have taken a while to develop their chance acquaintance into a recording that has a destiny feel to it but the proof of their inevitable liaison lies within the listening of this thoughtful and metaphorical album. The hypnotic, stirring and palindromic title track ‘Love We Are We Love’ is a worthy tune to project the album and is symbolic of the duo’s approach to music, posing questions to the answers that only the medium of song writing really excels at. 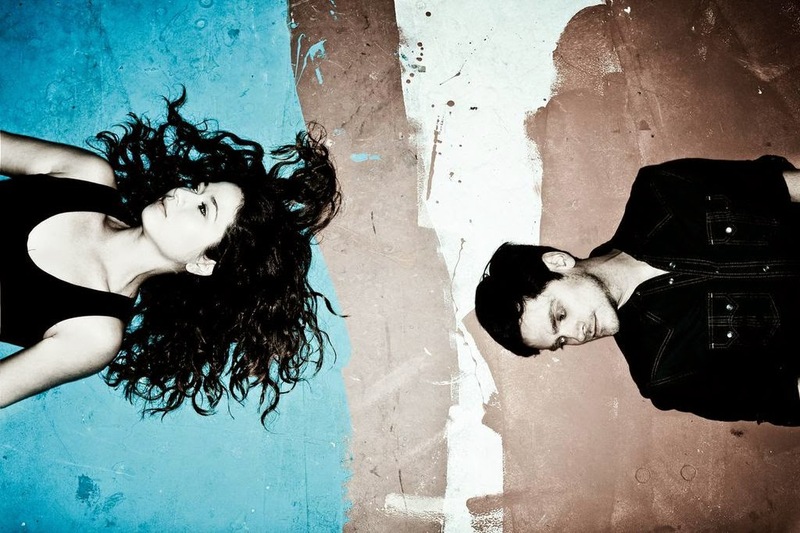 The whole record reverberates around the theme of experiencing that leap of faith which while extremely relevant to Chuck and Mira is capable of reaching out into the mind of the listener. Without veering into pop territory, the record has an instant appeal which entwines you deeper on each subsequent listen. Although the record has been available in the US for much of 2014, it’s getting a formal UK release on September 1 and there is a slight irony that this review is being written in the same week that The Civil Wars sealed the formalities of their split. 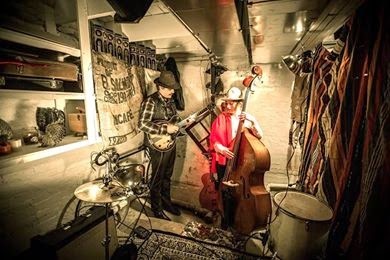 The similarities with this commercially successful duo are not too difficult to detect and the record has some potential to tap into the public appetite for this type of roots music. With the current trend of the banjo acquiring cool status, the scene setting album opener ‘Re; Blah’ bases its musical arrangement on this traditional string instrument and is another of the leading tracks on an absorbing release packed with a substantial 13 songs. The duo adopted their name from an ancient Greek tale recalling the joy of weary soldiers returning to a coastal base and this degree of intelligent thought threads through much of the album. For those inclined to tapping further into these thoughts, the band has an excellent website section where Chuck and Mira share the intimacies on the origin of each song. This will enhance the enjoyment and understanding of an album, benefitting from the careful production of Todd Sickafoose. The pick from the remainder of LOVE WE ARE WE LOVE lays within the gorgeous chorus and vocals decorating the track ‘If I Go (Chicago)’, a city of personal relevance to Chuck and Mira. The beautiful humming intro to ‘Guess It Was’ leads into another wonderful track where there is more than an element to Holly Williams in the vocal contribution of Mira. The second part of the album adopts a softer groove with a subtle dreamy sound defining many of the tracks. With an album rich in influence and depth along with a duo keen to share such thoughts, The Sea The Sea appear to be the ideal live act to frequent some of the UK’s more intimate listening venues. While LOVE WE ARE WE LOVE has much going for it, a visit to our shores for shows will help enormously in its promotion and awareness. In the mouth-watering anticipation of this, take a leap of faith with your music engagement and acquaint yourself with this record. If you want further proof that the soul of country music has gravitated east across the Cumberland River then listen no further than this debut release from Aussie songstress Emma Swift. Her roots and current base may be Antipodean but East Nashville has been a past point of settlement, hopefully a future place of residence and always her true spiritual home. This 6 track collection of divine entrancing pure country gold will have you drooling for the half hour it takes to infiltrate your senses. She may have gone to Nashville to learn but this release can cross the divide and teach others how to make a record and label it ‘country’. Of course in this media driven age, Emma Swift is going to be labelled alt country or Americana suggesting she is doing something different. However an alternative view is that she has her pulse on the real thing as this pedal steel driven batch of sad songs, drizzled with soul and sung at a luring pace, oozes with golden class from start to finish. Recorded in Nashville and including a cast of quality Music City session players, this self-titled mini album yearns for your attention right from the gorgeous opening track ‘Bitter Sweet’ which sets the tone and groove of the record. With visions of lazy days and the feel of an aching heart, this song earmarked for promotion is a worthy candidate for stand out track and Emma, in her other role as music broadcaster, knows well the nuances and value of airplay to target audiences. It is a credit to the release that all five other numbers push this stand out song to the limit starting with the heart breaking second track ‘James’ which continues the sad theme. The substance of this mini album, made for vinyl and designed for that late night bar, sees Emma generally steer clear of short songs as epitomised by the 8:32 long ‘King of America’ where she gets the balance right and lets the fine musicians take you on a trance-like journey. ‘Seasons’ is a song of Emma’s that has been around for a while and gets the retro drenched treatment to tap into the mood of the album. Emma is currently back in Australia hosting a specialist alt-country/Americana radio show on a new digital station and if the quality of her playlist matches that of the final two tracks ‘Total Control’ and ‘Woodland Street’ then the listeners are in for a treat. Both are meaty efforts laced with plenty of steel and carry you into the darker hours awash with a blissful sound. 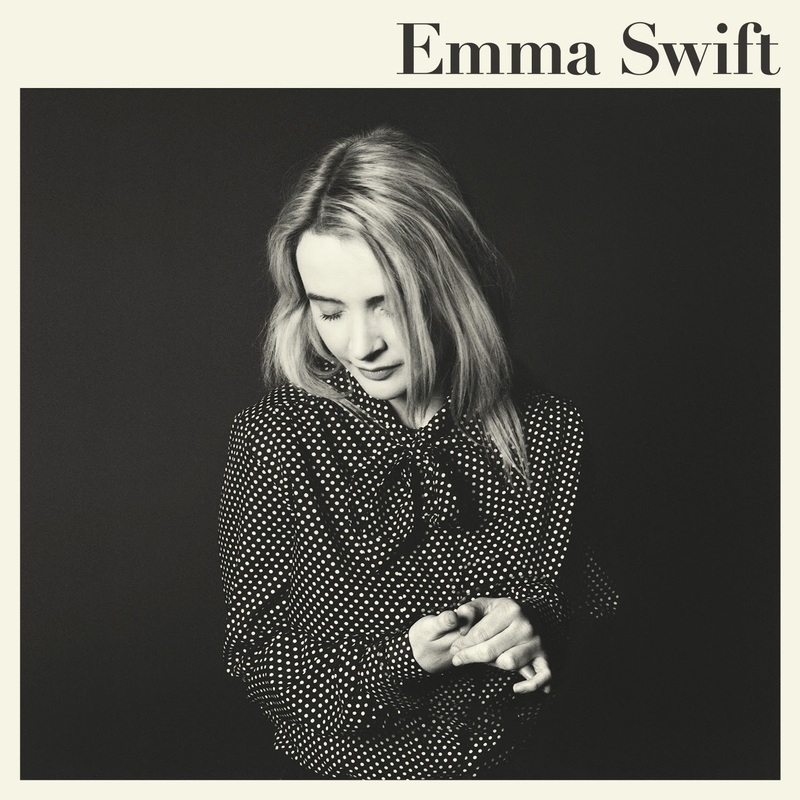 With a chink of late night empty glasses and the creation of a mood for pondering and self-reflection, the music of Emma Swift shows how effective a single gear sound can be as long as it’s beautifully sung, exquisitely crafted and built on heartfelt honesty. The intention is for Emma to return to Nashville to complete that elusive full length album but in the meantime this record is far more than just a tantalising teaser and can make its mark alongside trademark albums from more established artists. For a solitary hour on Saturday evening, the 50th Cambridge Folk Music Festival was transported deep down the Mississippi Delta and immersed in an album that is rapidly evolving into a blueprint of perfection for those captivated by the true essence of southern roots music. Rosanne Cash was returning to this premium festival for the first time since 2003 and her full band-near complete performance of THE RIVER AND THE THREAD just eclipsed Jason Isbell as the Americana highlight of an event keen to showcase so much fine roots music from around the world. The best way to approach a festival of this manageable size is to have your hit list, take a chance on a few unknowns and browse the rest to soak up the atmosphere. With a strong Americana presence this year, the first approach was well stocked, while the second threw up some acts craving to be further explored. No doubt there will be many column inches for the major bookings such as Van Morrison, Richard Thompson, Sinead O’Connor and an endless list of established folk performers but you’ve come to the right place to get a slight Americana slant on the weekend’s proceedings. THE RIVER AND THE THREAD is an album that gets better with each listen but Rosanne and her top notch band led by husband and key architect John Leventhal took the record to a different plane by devoting 45 minutes and 8 tracks from it to her set. The stories behind the songs breathed extra life into a project which has exceeded all expectations as the band barely wasted a note and Rosanne possessed a stature to equip her roots. The most defining aspect was the sincerity and belief in the project of sharing her heritage. Throw in a couple of songs from THE LIST and ‘Radio Operator’ from BLACK CADILLAC and the hour long set was maximised to perfection. The bar at this festival was set high for a young contender to continue to make his mark. Jason Isbell is that contender. He is being tipped for massive industry recognition at this year’s Americana Music Awards and his Sunday afternoon slot on the main stage added an abundance of credibility to this groundswell of opinion. Supported by his super talented wife Amanda Shires on fiddle, Jason showed no lack of composure, although without his famed band, to showcase a number of tunes from the acclaimed SOUTH EASTERN album and a few more from a wider back catalogue. The stunning song quality, humility to his craft and vocals to pierce a sedate suburban atmosphere marked the set which for me continually peaked from ‘Travelling Alone’, ‘Cover Me Up’, ‘Stockholm’ to one of his older songs ‘Alabama Pines’. Jason Isbell is a performer at ease with his talent, situation and ability to move into the upper echelons of American song writing. 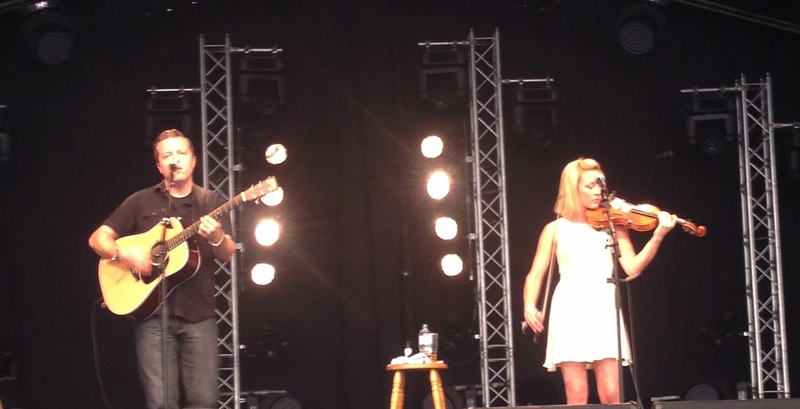 Cambridge Folk Festival was a privileged place to be to see him perform. 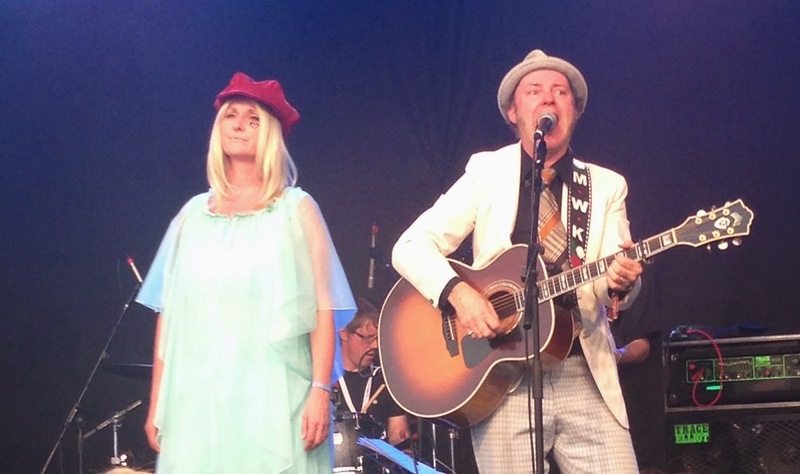 Over the last couple of years, British husband and wife duo Michael Weston King and Lou Dalgliesh have gone down a storm with UK Americana fans with their tongue in cheek take on classic country music. The outfits may be a touch garish but the songs are top drawer and for this Friday afternoon Stage 2 appearance the duo had the support of a full band. The folk festival crowd loved the Lou-led feminist response song ‘No Matter What Tammy Said’ and Michael showed the diversity of their style with the soulful ‘Our Race Is Run’. 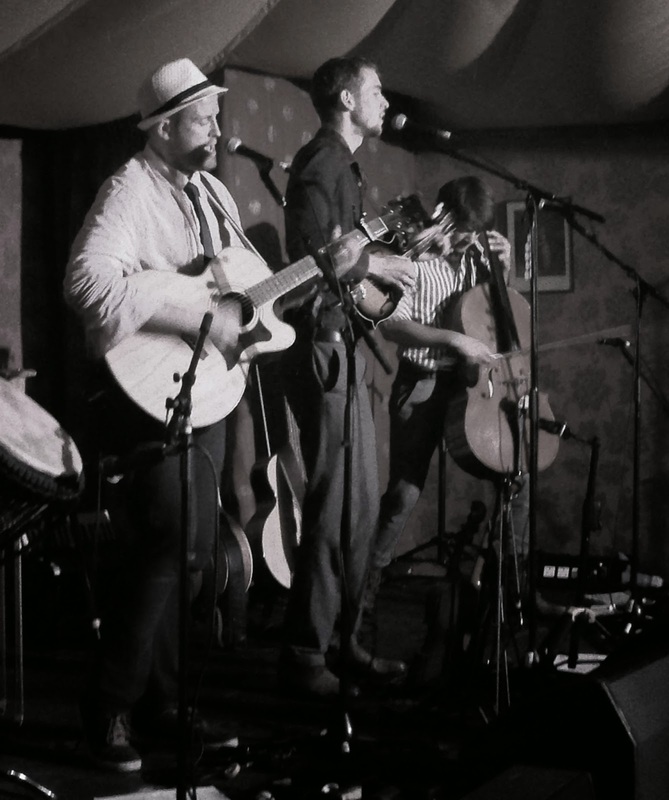 The day will come when Michael and Lou move on from this style but another splendid performance of their two My Darling Clementine albums was a pleasure to witness and hopefully acquired some new Cambridge Folk Festival fans taking a chance on a different act. At this point it is worth mentioning a couple of American artists who raised their profile with two contrasting acts. North Mississippi Allstars are a high energy country blues trio who evoked a dose of roots infused mayhem to the main stage on Saturday afternoon. Heavy on percussion and rip roaring on guitars, the trio headed by the Dickinson Brothers , Luther and Cody, electrified the audience with their home state take on the blues with newly acquired bassist Lightnin Malcolm muscling in on the act at opportune moments. A drum led trip by all three band members into the audience mid set combined with the high octane sound ensured there were no mid-afternoon dozers in the vicinity of the main stage. 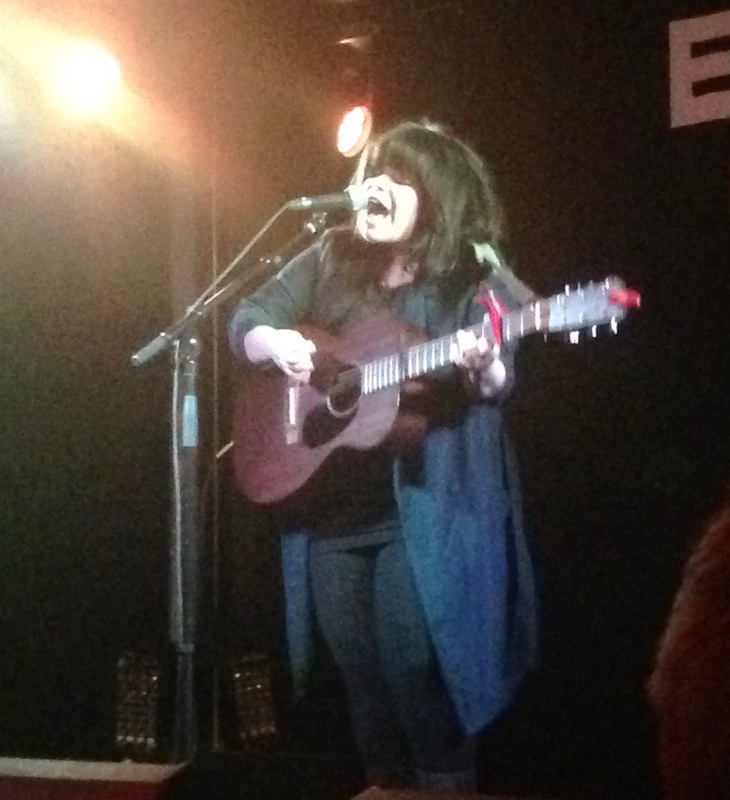 On a more serene note, the impressive singer-songwriter Samantha Crain from the troubadour state of Oklahoma played an inspirational set in the quieter Den venue on Friday tea time and created an impression to be further checked out. There was more than a touch of Lucinda Williams and Mary Gauthier to the sound of Samantha and she quickly became a notable festival find. The American contingent at Cambridge this year was swelled by a couple of artists who played a pair of sets across the weekend. Both have an old time feel to them and are slowly becoming sought after acts in the UK. Pokey Lafarge was also part of an array of artists who opened the festival on Thursday evening. Not being on site for this part of the festival made it essential to catch Pokey live on the main stage on Friday afternoon and to see this St Louis native’s take on the tradition of his home town musical heritage captured perfectly the ideals of the festival to celebrate roots music from across the Atlantic divide. 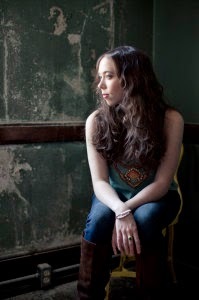 Sarah Jarosz is a fantastic young artist who values the tradition of American roots music having its own beginnings in the British Isles. 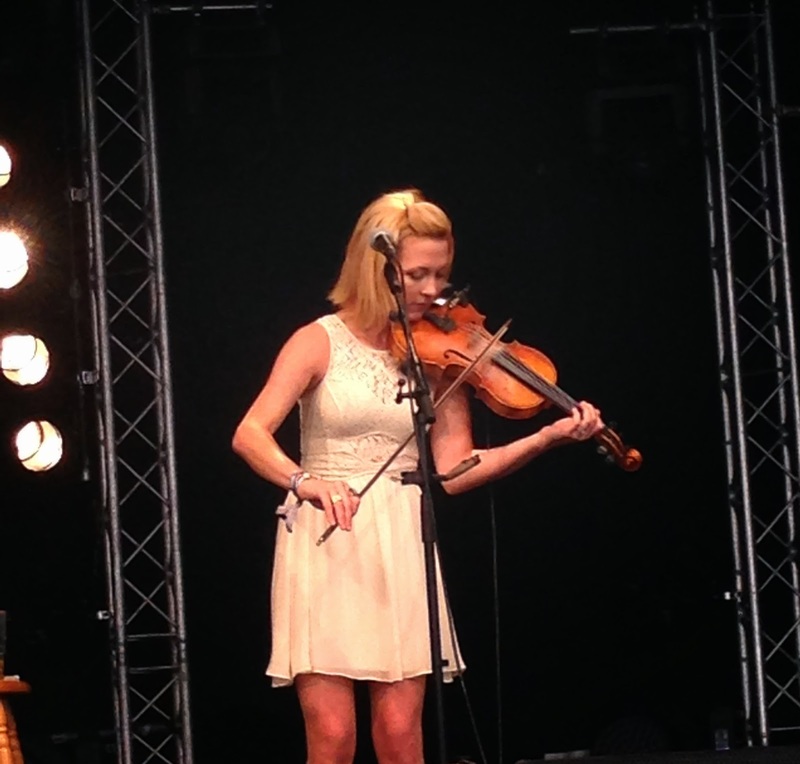 Two of Sarah’s Cambridge sets were attended and perhaps the most prominent was her Sunday lunch time main stage slot where she and talented band members Alex Hargreaves and Nathanial Smith besotted the early arrivals with a multitude of mesmerising acoustic tunes. Sarah even rotated the sing along numbers with the Tom Waits song ‘Come on Up to The House’ rousing the audience into some vocal involvement on this occasion. Lindi Ortega is a wonderful complex performer who has courted country and Americana fans alike with an unassuming take on, predominately, the darker and more quirky side of life. Attired with her trusty little red boots and black skull paved dress, Lindi went down a storm with a folk festival audience not too fazed by the left field slant of many performers. 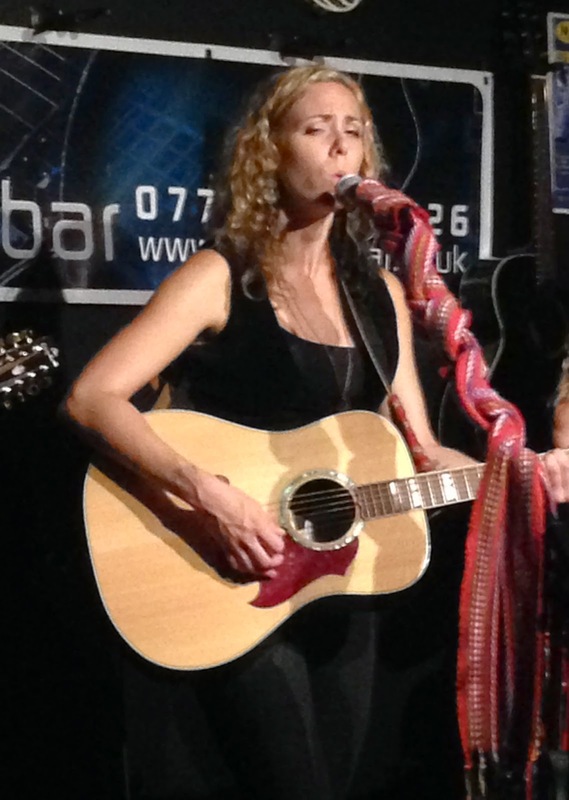 Unlike her previous UK visits, Lindi was this time alone with just an acoustic guitar but the familiar songs had that same old magical sound. ‘Cigarettes and Truck Stops’ never fails to move while the glowing ‘Gypsy Child’ is pure autobiographical. For an artist who rarely stands still, she previewed a new song which unsurprisingly was her take on passing through life. 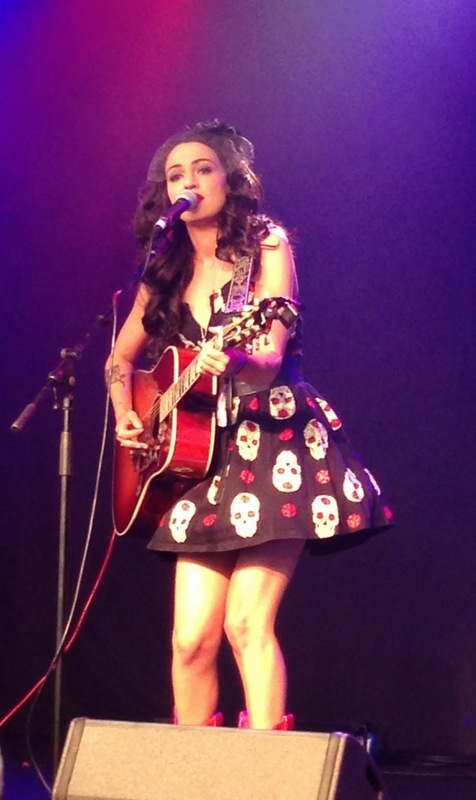 Although this was just a fleeting visit, the flame for Lindi Ortega in the UK still flickers brightly. Back onto a final couple of artists who possessed an understanding of the nuances of the Americana genre and were both relatively unknown to me prior to the festival. The Rails are a British based folk rock duo comprising of Kami Thompson, daughter of Richard, and established guitarist James Walbourne. 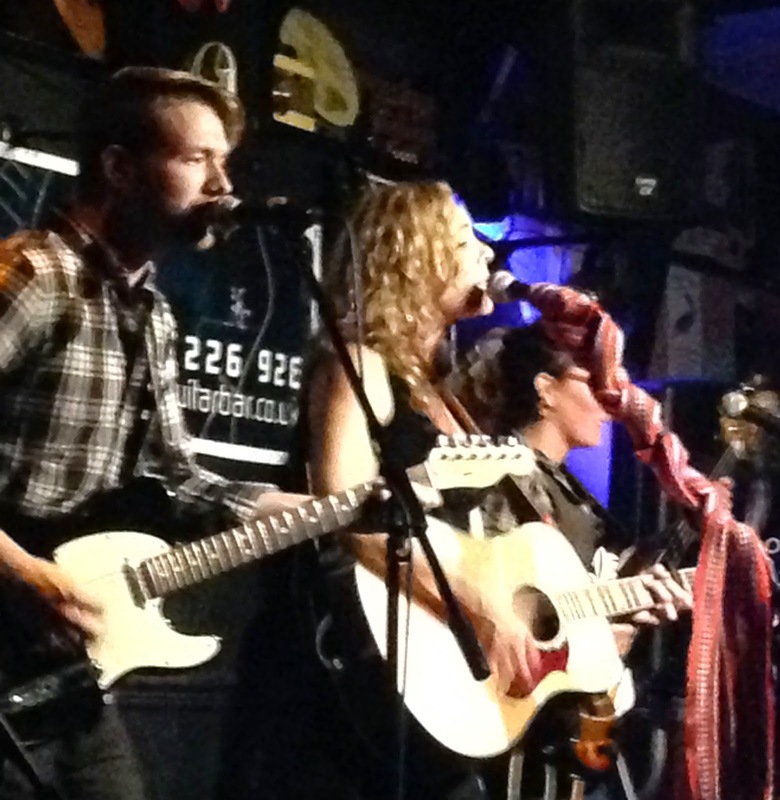 Backed by a fine band, The Rails eased between beautiful harmonic pieces with more than a hint of country to a full on rock sound that ratcheted up the tempo. In contrast young artist Raevennan Husbandes captivated a large gathering in The Den with a bluesy sound supported by the legendary BJ Cole on pedal steel. Her wonderful bio of ‘Afrocentric Quirky Beatnik Songbird’ perfectly sums Raevennan up and she has been added to the ‘ones to look out for’ list. One of the many delights of this, and any other festival, is perusing the smaller stages and a number of artists listened to over the weekend certainly warrant a mention. 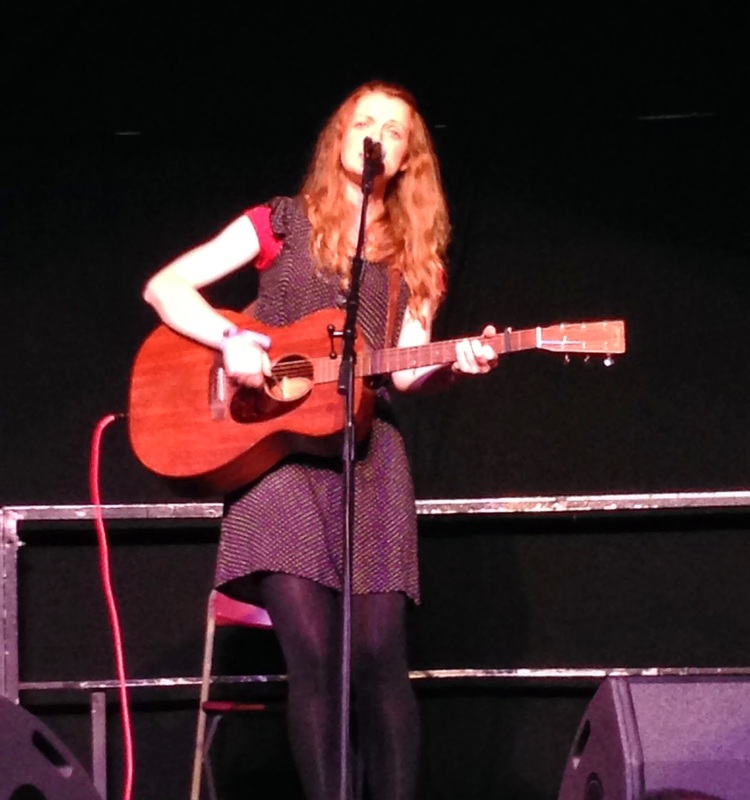 It was great to catch up with Jess Morgan again as she performed a handful of fine songs in the Club Tent. The same venue hosted an entertaining set from Luke Jackson who included a good version of ‘Man of Constant Sorrow’ in his selection of songs. She may have been competing with Van Morrison in the background but the beautiful vocals of Kelly Oliver won the match up. 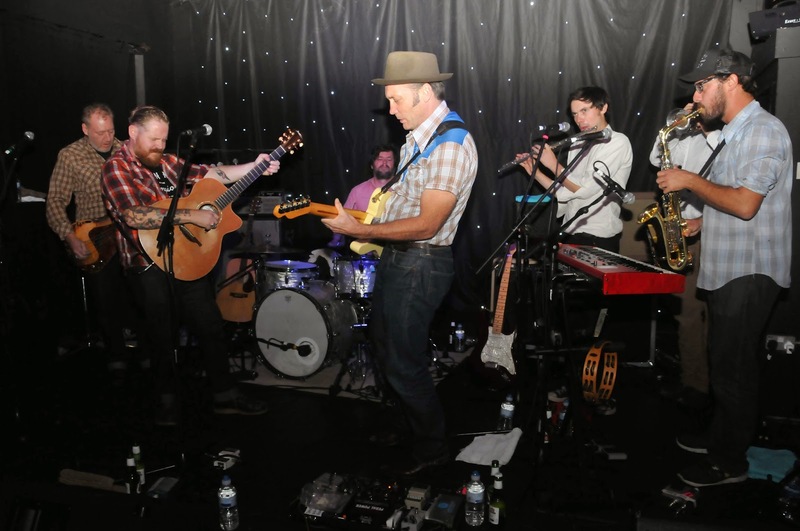 Kinver based band Clutching at Straws excelled in the growing trend of making roots music cool for the new younger generation while Goat Roper Rodeo Band are making a similar case for cosmic country blues. All these and many likeminded artists continue to be the pulse of the festival and provide the perfect foil to the bigger fee soaking artists. There was no complaints with the Americana menu served up by the Cambridge Folk Festival, in this their golden year. The bubbling undercard garnished the selection with a lavished offering of great music to create the perfect base for an emerging superstar and iconic album to crown the feast. 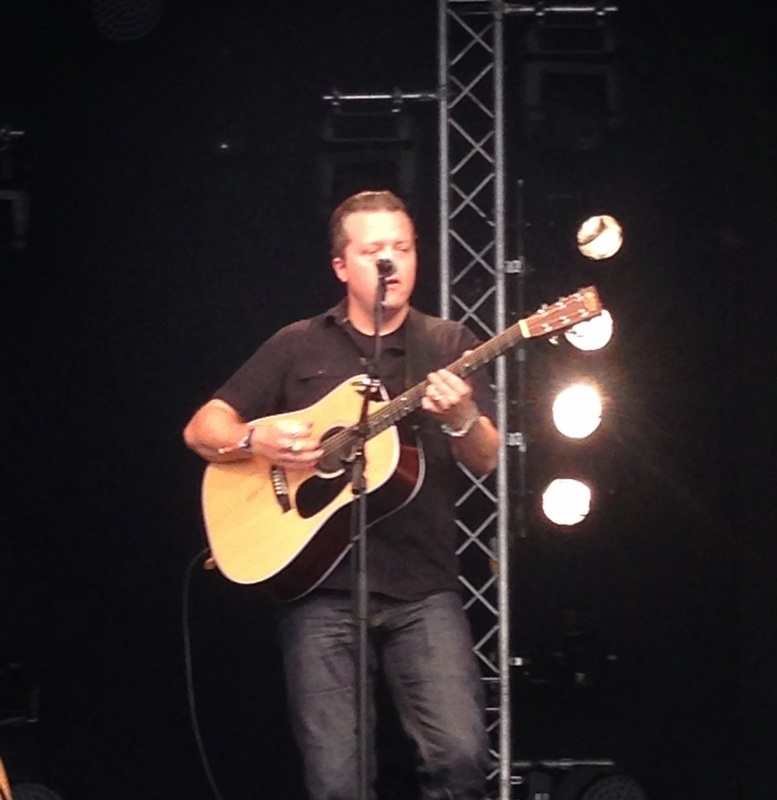 Cambridge Folk Festival was awash with stars but as you would expect from an Americana perspective, none shone more brightly than Rosanne Cash and Jason Isbell. There is really something quite special about live roots music in a church setting. 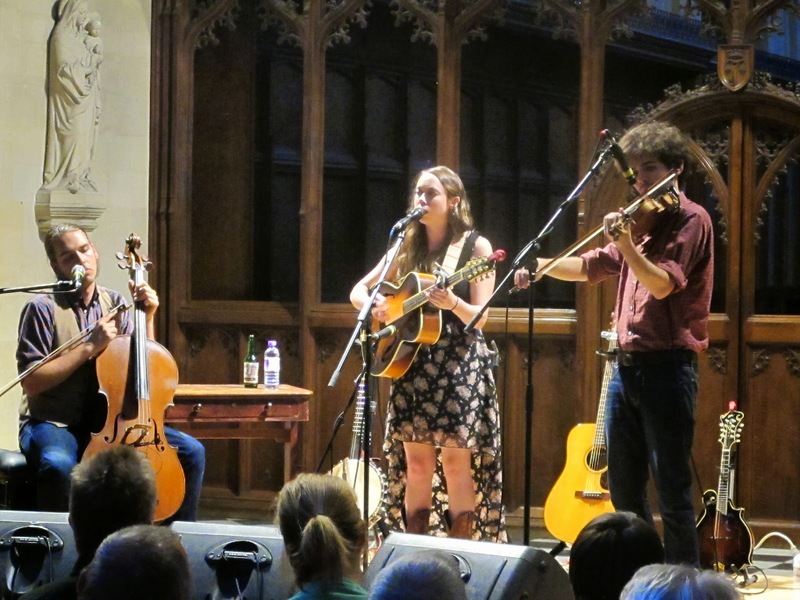 Around a couple of years ago the Good Lovelies excelled in the heavenly acoustic surrounding of a venue in Ross-on-Wye and Sarah Jarosz did likewise on this Oxford date in the final throes of her latest UK tour. The pro-activity of the St. John’s the Evangelist Church events team and South Midlands based promoter Empty Rooms ensured a very healthy turnout of around 250 to witness a young performer who has left prodigy status behind and is now firmly established as one of America’s premier roots artists. Whether the label ‘new grass’ sticks is irrelevant and it could quite possibly be replaced with the simple word ‘quality’ as Sarah epitomizes this simple understated word in musical terms. Raised in Texas, schooled in Boston and no doubt now utilising the musical facilities of Nashville, Sarah is using this tour to promote her latest acclaimed and third album BUILD ME UP FROM BONES. Not unexpected, a fair proportion of the album was reflected in her pair of roughly 45 minute sets which simmered for a while before exploding into a concoction of acoustic revelry. For this tour Sarah is joined by Nathaniel Smith on cello and Alex Hargreaves on fiddle both playing fantastic supporting roles alongside the vocals, guitar, banjo and mandolin playing of Sarah. Although a budding young song writer in her own capacity, Sarah is keen to expand on the works of others with a keen ear for a song which will respond well to her style of musical delivery. 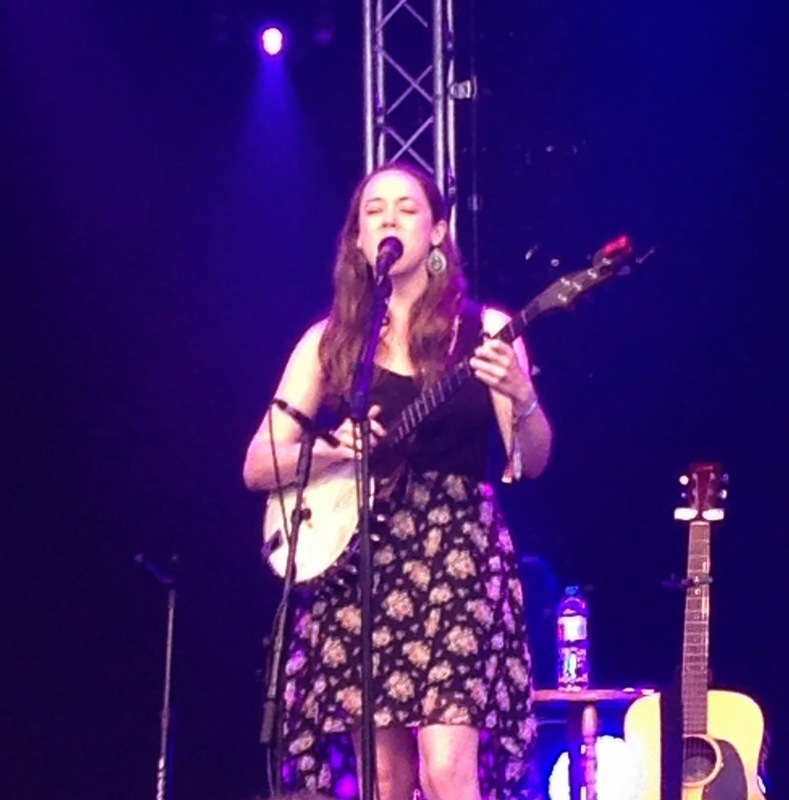 Whether playing a scintillating version of the Bela Fleck instrumental ‘Puddle Dancer’ to interpreting the songs of Bob Dylan, Cat Stevens and Simon and Garfunkel, there is a familiar stamp of Sarah Jarosz quality on each of them. Dylan’s ‘Ring Them Bells’ proved highly popular to this Oxford audience but I thought this was shaded by her take on his ‘A Simple Twist of Fate’ which was one of the second set’s early songs and played with a beautiful solo accompaniment from Nathanial on cello. Before we leave the covers behind, it is worth commending her version of The Decemberists’ ‘Shankhill Butchers’ which was recorded on her 2009 debut album. The expected and atmospheric audience participation was exclusive to two other songs of external origin with Martha Scanlon’s ‘Hallelujah’ and Tom Waites ‘Come on Up to the House’, both being sung rigorously by many in an appropriate location. All these and a fine balance of original material were beautifully delivered by Sarah, although the vocals were slightly eclipsed by the fabulous musicianship of all three performers. This is Sarah’s second UK visit this year having been an integral invited member of the Transatlantic Sessions in February. The original song ‘Run Away’ was performed live in their shows around the country and was also one of the standout numbers from this evening’s concert. The new album is also packed with superb tunes and three of the finest duly entertained an appreciative Oxford audience, namely ‘Mile on the Moon’, ‘Fuel the Fire’ and ‘Over the Edge’. Having enthusiastically reviewed and enjoyed this release, there is nothing better than being present when it’s being sung live and even more evocative, in a lovely church setting. With an inextricable link between roots music and church venues, the case for expanding their harmony is a strong one. St John’s the Evangelist Church and Sarah Jarosz were a perfect match and both contributed to a delightful evening of music composed straight from the heart and designed to satisfy the ear.